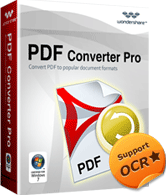 PDF Password Remover for Mac is an easy yet powerful PDF decryption utility that can directly remove PDF owner password and let you edit, print, copy and convert your PDF freely. With Password Protect PDF Master, you can encrypt and convert pdf document to an exe file, create a password to protect your pdf document. PDF Password Remover is a tool that used to remove password and security restrictions from encrypted PDF files. PDF Password remover for Mac is a program that can be used to bypass the security on PDF files.